Up To Speed is AT&T’s largest interactive product, a customer loyalty newsletter sent out to the entire AT&T email database – about 5 million people. Their goal: take it to the next level. From the time I took the product over, the newsletter set records across all interactive properties. 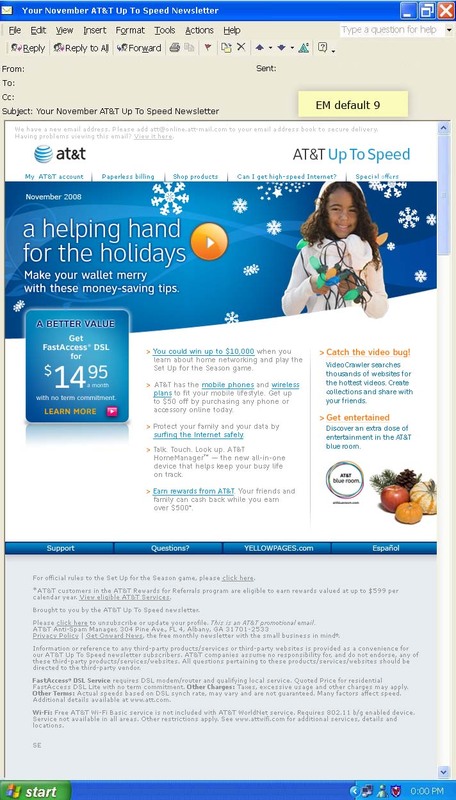 The Email returned with a 30% open rate and a 5% click through rate. This is extremely high for almost any email. The landing page contains little or no “hard sell,” just general entertainment and informational content. It consistently sold more than any product email on a regular basis.